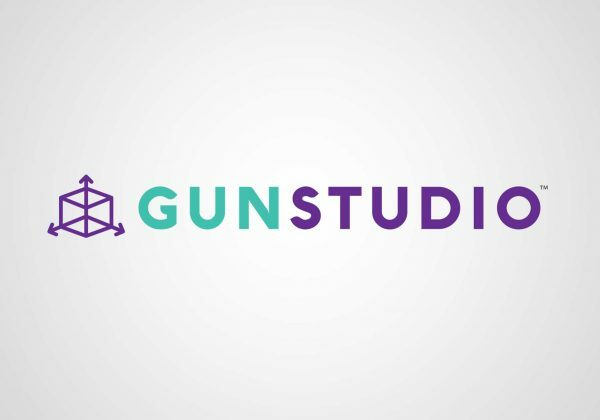 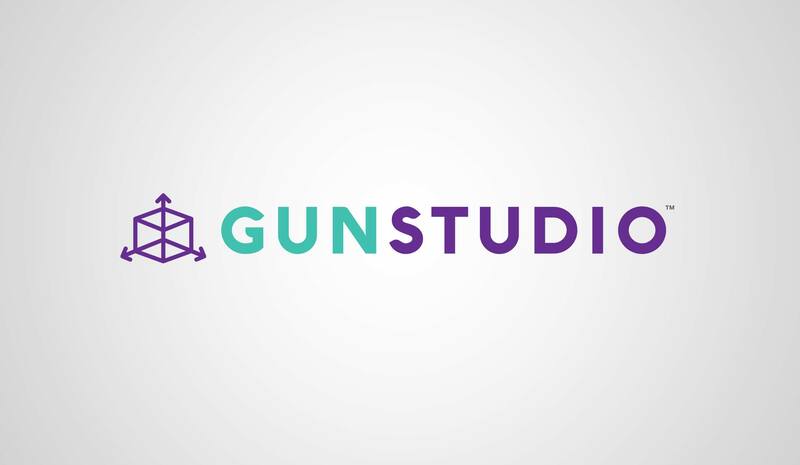 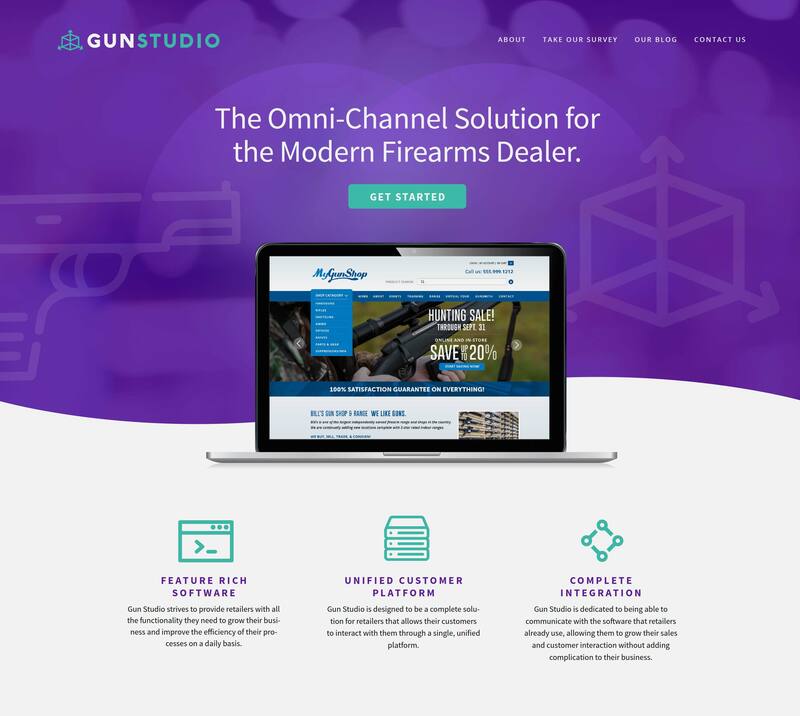 GunStudio is a new business that offers e-commerce website services to the firearms retail industry. 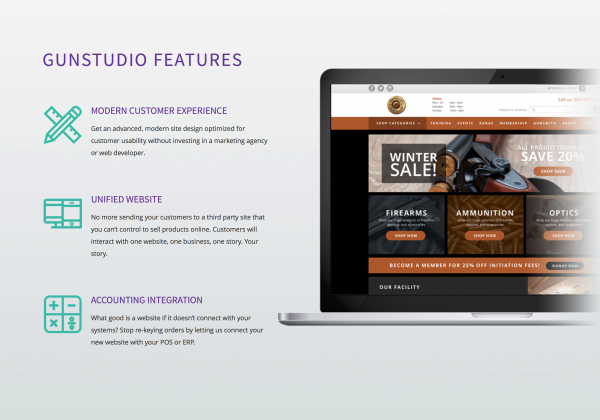 Customers are given options on templates for their store site. 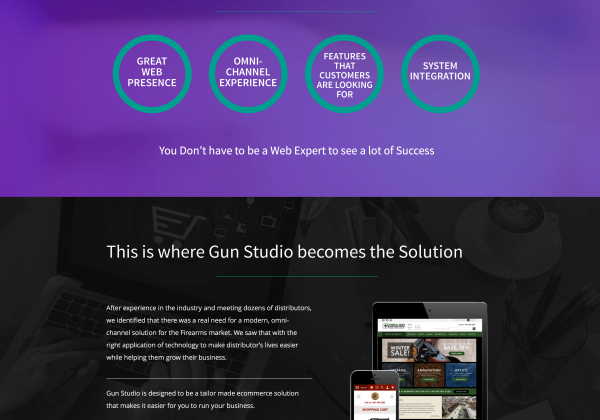 This site is the marketing entity of the business. 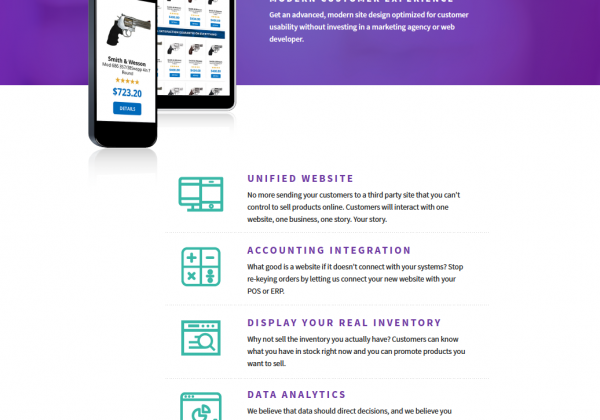 Site explains all the features and pricing for the different site options. 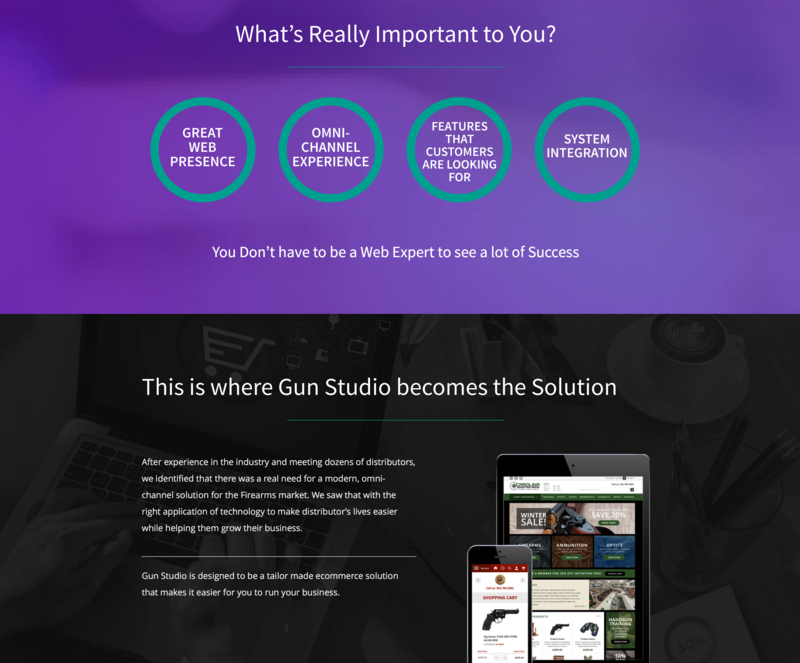 Site was designed as a WordPress platform site. 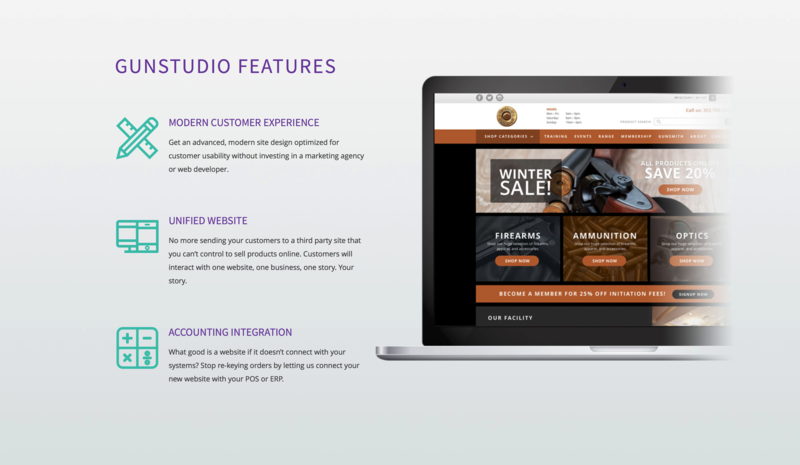 Also designed brand logo and color palette for all site front facing interface design and outbound marketing communications.